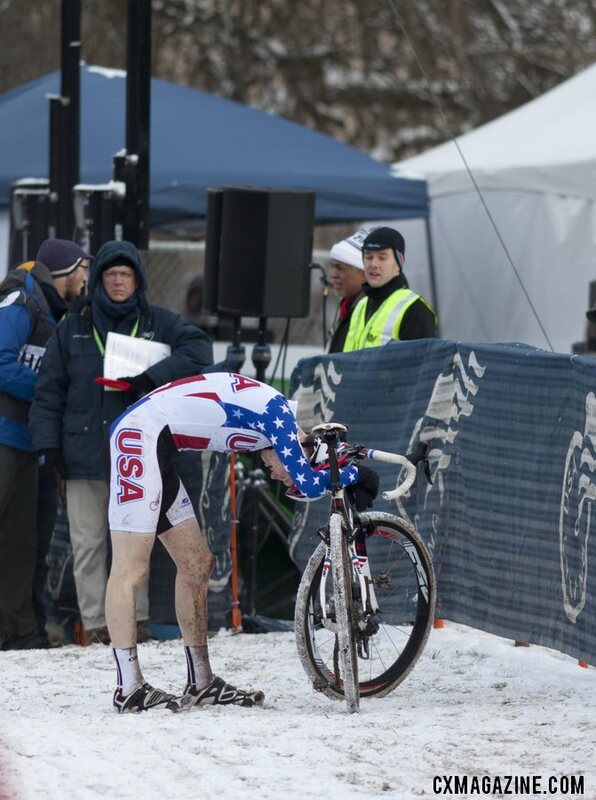 The beginning of 2016 was a tough time for me both professionally and athletically. 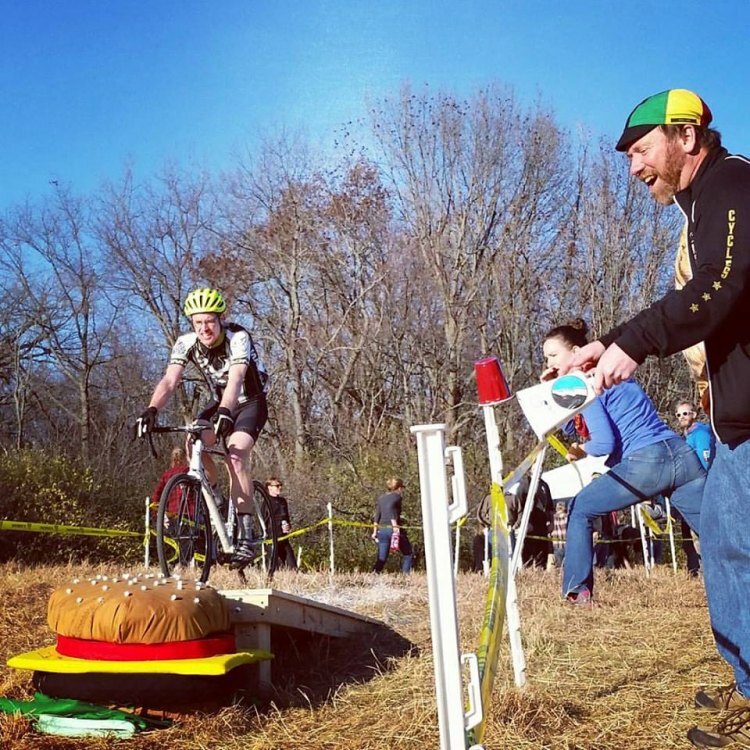 I was working six days a week trying to finish my Ph.D. dissertation and facing the dreaded upgrade from Cat 3 to Cat 2 for the 2016 cyclocross season. I spent the winter of 2016 putting in my time on the trainer to get good enough to not embarrass myself in the P/1/2 races and to escape from the depression of my Ph.D. dissertation. I was trying to brute force myself into being strong, but as I would learn the hard way, getting good at cycling takes way more than just time on the trainer. You have to learn to balance the stresses of life and training with getting enough rest and not pushing past a limit you often learn about far too late. When I look back at 2016, I see someone who was overstressed and overtrained, even if he was never able to admit it. As a cyclocross racer I am an okay Cat 2, and so I do not necessarily think I have professional-level insight to offer others. However, after suffering through a year of overtraining, I have seen the symptoms in others, and I think there is something to be added by describing the experience of overtraining and recovering from it. My hope is that by sharing my experience, maybe one or two readers will be able to avoid overtraining and not lose an entire year of happiness on the bike. In this Training Tuesday, I am going to talk about my personal experience of overtraining and then offer some advice of what I learned from the experience. My story of staring down the abyss of overtraining started in the fall of 2015. That season was my third season of racing ’cross and looking back, I totally nailed my preparation by mixing big miles with singletrack sessions on my ’cross bike. The result was my only career win and 12 upgrade points in the first four races of the season. Knowing I would probably achieve my goal of a Cat 2 upgrade, I started training harder during the season, thinking I could get better for the next season. The result was progressively worse results and a rather sad, drawn-out march toward 20 upgrade points. 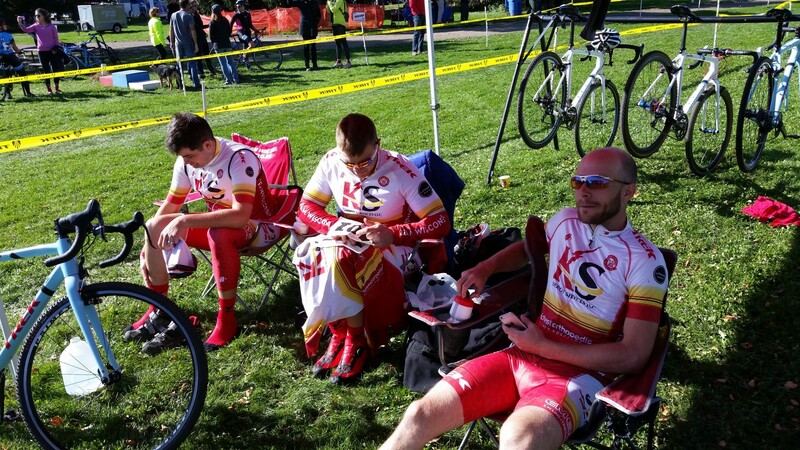 I finally got number 20 on a Saturday and then on Sunday, I completely fell apart in my first-ever P/1/2 race. Not taking this as a sign, I continued to get after it and two weeks later, physically fell apart at Jingle Cross yet again. Looking back, the first thing I learned is that a complete physical meltdown is a sign that something is wrong. We have all had days where we feel like garbage or just cannot get it going, but if you find yourself physically unable to finish a race, take a step back and take a few days off. I have learned this is a warning sign your body is sending and fighting through it only makes things worse. A second thing is to please please please take time off after the season. When I played basketball, my coaches always preached the importance of outworking the other guy, and so even despite my Jingle Cross meltdown, I thought it would be brilliant to keep training through December and right on into the new year. Turns out, this was a really bad idea! Take December off. If you do need to ride, soft pedal through it. Or if you are good and go to Nationals, take January off. You do not need to sit around and put on holiday pounds, but nothing above Zone 2 is probably a good approach. As the calendar moved into spring, my legs started to feel progressively worse despite being able to hit power numbers I was happy with. In addition to the training stress, I was also accumulating Ph.D. stress and the sum total of both added up and took their toll. And yet, stubborn as always, or perhaps in denial, I kept fighting through it. I took a look at my workout descriptions and there were several that read “felt like garbage.” One of the best pieces of advice I have read on overtraining said if you frequently find yourself saying “felt awful” about workouts, it is a major red flag that something is amiss. I was still able to ride, and I wanted to ride, but something in my legs felt off. Some pieces on overtraining I have read said that inability to hit your power numbers is a sign of overtraining. Probably the most insidious aspect of overtraining I experienced was that I was still able to hit my power numbers most of the time I did high-end workouts like 2x20s or 5x5s. I experienced no identifiable drop off in power, I just felt awful while doing it. I have described a lot of red flags I should have been able to identify at the time, but this is probably the biggest and reddest of them all. Me, one week away from the start of my favorite season, did not want to start racing. I felt awful, and I knew it. Yet all I could do is hope that maybe a miracle would occur and I would magically feel better by the next Sunday. Spoiler alert, there was no miracle. At the first race of the season, I was washing my bike during after a pre-ride lap and I felt my back go out. I could not race and by the end of the day I was laid up in bed. After a few weeks on the couch and a few weeks of recovery, I tried racing again. I did not make it through two laps. I decided then and there I was shutting my season down. It is weird to say, but hurting my back almost came as a relief. I knew something was wrong, my body knew something was wrong and it took excruciating back pain to get me to finally accept that yes, I was overtrained. I asked my training guru Dave what I should do and his response was, “Just ride easy. Until you feel better, just ride easy.” So I rode easy for the next month while taking time off on the weekends to go watch races. I did some workouts in November and then took December easy through Christmas before starting my training for the next year. Sacrificing last cyclocross season to recover from overtraining has led me to an infinitely better experience riding this year. No longer do I find myself saying, “Felt like garbage” about my rides. My legs feel good and I am back to enjoying cycling. I know personal testimonies are all the rage right now, but hey, you have read this far, so here are some things I have learned about overtraining during the past two years that may be useful to other riders who are prone to pushing themselves toward the breaking point. I used to chuckle when other riders talked about TSS (training stress score) and CTL (chronic training load) and other lingo related to performance management. My thought was always, just go ride your bike. I finally gave in and started using a performance management chart at the beginning of the year, and I have to say, it has revolutionized my training. Simply put, performance management tracks your long-term fitness and short-term stress and tells you when you are either well-rested or deep in the red. This article from Training Peaks explains what performance management is. TSS calculations are based on power, so if you have a power meter there is really no excuse not to track your performance management. 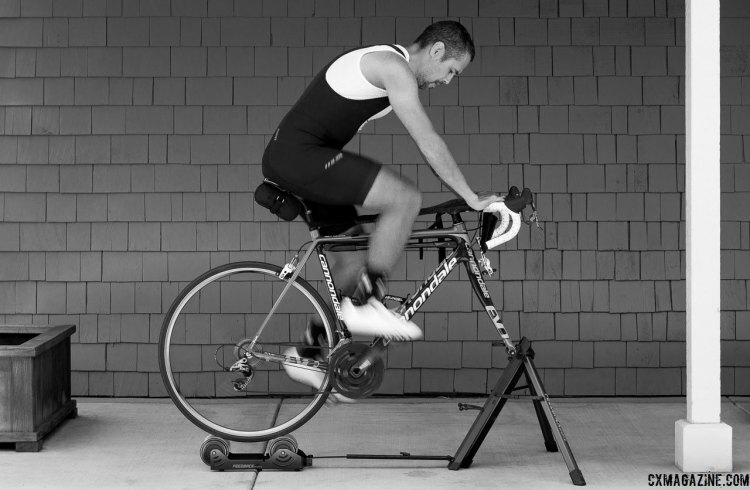 If you do not have a power meter, heart rate can be an acceptable substitute. If you assign a TSS/hour for each heart rate zone, you can obtain an estimate of TSS that is close enough to be useful. Negative Training Stress Balance (TSB) scores mean you are tired and positive values mean you are rested. I have found there is usually a correlation between very negative scores and feeling fatigued, so the numbers can provide a quantifiable check on your desire to push through deeper into the red. At the same time, if you are able to push your TSB positive for an extended period of time, you know you are resting and recovering from big efforts. I am not a coach, so I cannot give professional advice on how much you should be resting, but I have been told you should take at least one day a week off. I have been taking two days off each week and any sacrifice in fitness gains has more than been made up for in feeling much better about riding my bike. If you tend toward overtraining, I would not mess around with “active recovery” days since most people’s active recovery days are anything but. Take the day off or maybe commute to work or cruise around town if necessary. I have also been trying to follow an approach of training for three weeks and then taking one week off. The week off does not necessarily need to be off the bike, but definitely a few days off and a few days of really easy riding is a good prescription. I found this hardest in the middle of the summer when the weather was really nice, but it is still worth it to give yourself a break about once a month. One thing that has worked well for me is to incorporate weddings and other weekends I am traveling into my training schedule as periods of rest. Not only does it make them more relaxing because I am not thinking about getting a workout in, but it also forces me to rest. If you are your own worst enemy like I am to myself, sometimes you need to use Jedi tricks to get your rest in. A final point about rest is that if you train regularly and are not feeling it on a particular day, shut it down. Just end your workout. I think we all know the difference between feeling sluggish and just not having it, and if it is the latter, do not be afraid to just get off the bike and rest up for a better workout tomorrow. Any minor losses in fitness or disruptions of your training schedule are minimal compared to the long-term mental and physical gains of not pushing yourself past the breaking point. A third piece of advice is to listen to your body. If you find yourself just feeling bad on the bike, or worse, having a meltdown like I did, it is probably your body telling you that you are overtraining. Listen, and then take a break. Strava, Training Peaks and other fitness tracking apps have a section where you can write details about your workouts. It is probably not a bad idea to jot down a note or two about how you felt during a workout. I think we become really good at convincing ourselves that, “It’s just one day,” so having those daily observations provides a long-term record we can look back at for bigger trends. If you find a lot of days that say “felt awful,” that is your body telling you to take a break. Listen, take it easy and recover; it is not going to magically get better one day. I hope if any of this rings true, you take some time off the bike and recover for better and happier riding. 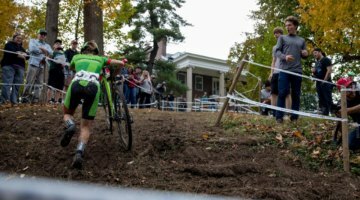 Even though it is the start of the cyclocross season, if you are feeling overtrained, I think it is worth sacrificing a month to recover and have a good second half of the season rather than pushing through and feeling miserable all season long. For more training advice, see our Training Tuesday archives. Hi Zachary, thanks for great, honest and informative article! I also find that I’m able to hit my power numbers, however I find it extremely difficult to get to my desired (corresponding to power) heart rate, especially at lactate threshold and above. Would that be a clear sign of overtraining as well or just means that I’ve improved my fitness (same or even higher power at lower HR)? Is that possible that my lactate threshold hr has gone down (from 172-175 to approx 150-160) within 2 seasons? Even prolonged periods of rest don’t seem to help in this regard. And it’s not legs – they are ok, but heart doesn’t want to “cooperate”. Whenever I want to hit my previous LT numbers (above 170) it feels like VO2max efforts.